Drivers who want to sell their car privately and successfully need to know how to write a clear and concise advert for potential buyers. The wording of a classified advert is likely to dictate how successful they are at attracting people’s attention. Prospective car buyers don’t want to read a literary masterpiece: they’re looking for something that describes a car to suit their requirements. The more relevant an ad is – to both the type of car and typical owner – the more likely it is that someone will take an interest and enquire. As well as showing off the car you’re selling, you’re also showing off yourself as a responsible owner who’s (hopefully) cared for that car. The more honest and straightforward you can be, the more likely people will consider what you’re offering to be a good buy. And the more potential buyers you have, the more likely you are to sell the car and maximise its value. Buying a car privately gives the purchaser no legal protection whatsoever, unless the car is wrongly described. If your advert says the car has had one previous owner when it’s actually had three and a buyer objects to that, they’re entitled to get their money back. Equally, you will face the anger of disillusioned prospective buyers whose time you’ll have wasted if you describe your car as immaculate when it’s covered in dents. The advert should be 20 to 30 words long. There’s no point waxing lyrical about what a wrench it is to sell it, or that a move abroad/new job/family bereavement is the reason you’re selling. You can tell customers why if they ask. Make sure you list the colour in a language people can understand. If it’s red, say so rather than using the meaningless manufacturer name of Firework Glaze. Don’t bother with obscure manufacturer acronyms for safety equipment either. If you want to advertise radar cruise control, say that rather than using ACC, its VW Group abbreviation. There are numerous clichés where used cars are involved. ‘One careful lady owner’ is a classic. Even if it’s true, prospective buyers probably won’t believe it so it’s a waste of words. 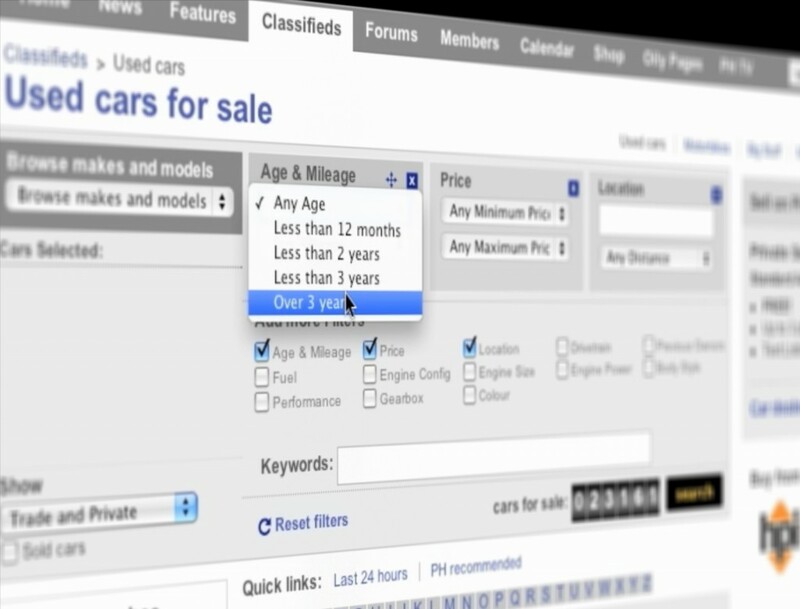 Many private ads for cars have insufficient detail. Most importantly, include the make, model and exact trim level. Also include the year of manufacture and registration year, for example 2010/60-reg. You also need to list the exact mileage, how many owners it’s had and relevant equipment and features. What features will customers want? Your car will probably have some features that potential buyers will find attractive, and others that they will either take for granted or ignore. Air conditioning, alloy wheels, sun roof and parking sensors are the sort of assets that buyers look for on used cars. Assuming it is not a particularly old vehicle, they’ll probably take airbags, anti-lock brakes, central locking and electric mirrors for granted. A car with a complete service history is more desirable to buyers than one with a patchy maintenance record. It’s important to tell possible buyers the service history of your car if it has one. If you don’t mention it, buyers are likely to assume it doesn’t have one and will be put off. If you need to save space you can use FSH, a common abbreviation, in place of full service history. If you do advertise its history, make sure it has one and that it is indeed full. List the number of owners the car has had, particularly if it’s low for its age, and write how much MOT it’s got left. And of course, there’s the price. Don’t put ONO (for ‘or nearest offer’). Any buyer will be expecting to haggle over the price and it’s obvious you’re going to take the most attractive offer. It is essential to include at least one photograph with your advert but really, the more the better. Photos will give people the best chance to assess how accurate the vehicle description is and whether the car is in original condition and free from damage.